For this new season is one of the outerwear that will be used more since its elegance gives a chic touch to the looks. Although it seems that they do it little by little, the low temperatures approach. Touch dusting sweaters, sweatshirts and long sleeves and start thinking about our autumnal outfits. One of the things to keep in mind during these months is the warm clothing that we will wear. Currently the weather is a bit unbalanced and suddenly we can go cold as we have to take off layers due to the heat. That’s why one of our biggest allies for this season will be the trench coat. The trench coat is one of the classics that many of us have in the wardrobe, as it fits well with almost everything, it is not too thick or heavy and it is always fashionable. What gabardine suits us better? As we have already said, the trench coat is a piece of timeless clothing that combines very well with almost everything. However there are some tips that we can follow to take a flawless look. First we have to make sure that the trench coat is our measure. If it comes big, it will give an over-sized effect and it is not what we are looking for if we want to give an unblemished image. Neither should it be small, remember that it is very likely that you have to take it off and put it several times a day and if it comes close you could break it accidentally. Over the years the women’s trench coat has been reinvented in many ways. One of them is the length. We can find trench coats of the three standard sizes: short, medium and long. Short trench coats are ideal for short girls with few curves, since the cut on the hip will make them look taller and create volume in that part of the body. To mark the waist you can also buckle the belt in case the raincoat takes it, although the design is the most common. The medium length trench coats, which arrive above the knee, are classic design and fit all body types. As for the long ones, they are better for tall girls; if your height is rather low and you want to put on a long trench coat, put on some heels to counteract. This warm garment will help us to wear an elegant and classic style but this does not have to be synonymous with boring. Giving it an original touch or combining it with certain pieces of clothing we can get a much more interesting look. A very simple detail that will give you a more stylish look is simply not fastening the trench coat. This will be more convenient when you like the outfit that you wear underneath and you want it to look good. 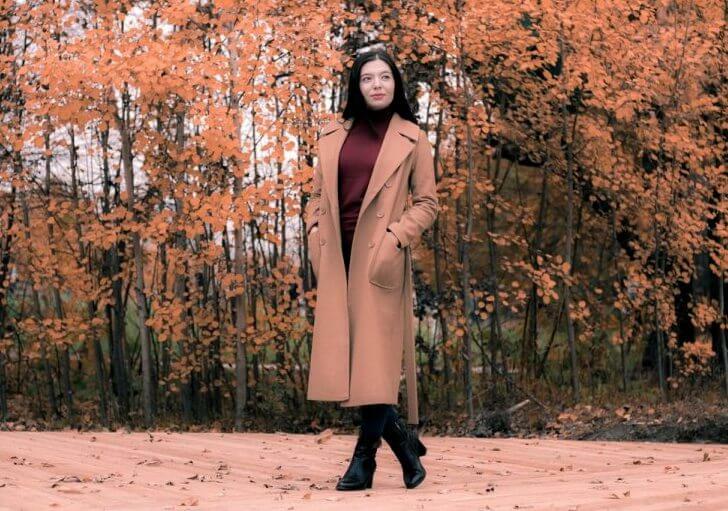 Especially occurs with dresses, because if it is short and the trench coat is long it is very likely that you do not see the dress. Another small detail? It will be very chic and casual if you roll up your sleeves a little with your trench coat. In relation to this, if you decide to combine the trench coat with a dress or skirt make sure that the trench coat always remains longer, because if you look below the length of the skirt it would be unsightly. That said you can combine the trench coat with almost everything. Some exception is that it does not look good with sportswear, as it is a warm garment that instills elegance. 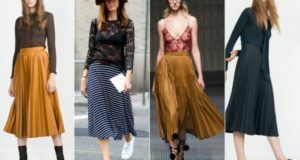 Likewise it is not advisable to combine it with romantic maxi-dresses, hippie or floral aesthetics since it is radically different from the trench coats style. The same is transferred to the shoes; some flip flops, for example, would not combine anything well. On the other hand, boots, ankle boots and heels usually look great, especially if the length of the coat is medium. For tall girls with long trench coats it is best to wear a flat shoe like some dancers, moccasins or some very stylish sports shoes. For your day to day will be great with skinny jeans, booties and a basic shirt. If you are a business woman you can perfectly put on a trench coat with a suit jacket, as it will give you a very professional look. Do not be afraid to wear trench coats on more special occasions. As we have said they are ideal for dresses and being an elegant garment will accompany the ensemble, especially if you combine it with fine heeled shoes. Another ideal use for the trench coat is on rainy days: with rain boots and some skinny jeans or leggings on the inside you will be comfortable, stylish and you will not get wet. As for the colors of the trench coat there are many to choose from. While it is true, the classic colors are gray and beige and are the safest tones since they are the ones that best combine with other colors. Some tones that also look great are navy blue, garnet and black. However you can find trench coats in the clothing stores of any color from the blue, yellow and red classics up to the pastries that give a sweeter look to those who wear them. 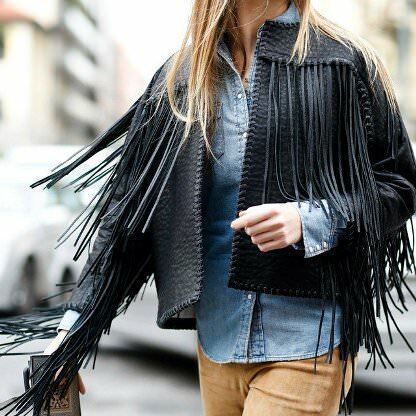 In the same way there are trench coats of different materials from the cowboy to the leather passing through bright and waterproof fabrics. What accessories can be put on with a trench coat? The trench coats are simple outerwear at first, so if you want to enhance your look you can complement it with accessories. As it is a coat that is usually worn in autumn and spring, one of the accessories that are most often used in these seasons are scarves for the neck or headscarves. Whether they are simple or printed, it will look great, especially if the color palette is similar throughout the outfit. Another accessory that is very associated with the trench coat is the hat, in particular with homburg hats. If you are looking for a classic look like that of the 50’s, do not hesitate to combine it with this accessory.